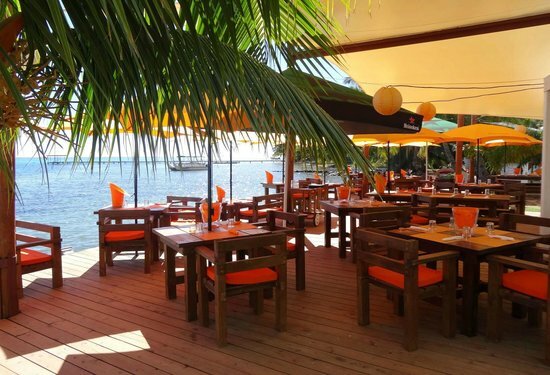 There are an abundance of wonderful Moorea restaurants! You’ll find these family owned establishments to be some of the most hospitable, while the flavors and dishes are inventive combinations of French, Polynesian, Chinese, and casual fare in a variety of price ranges. Several restaurants also offer complimentary car service to and from the resorts. You’ll find a creative, eclectic menu with of steaks, fresh seafood, even pizza (but we think you should venture to some of the more exotic items on the menu). The vibe is trendy and location is directly on the water. A favorite among locals, Le Mayflower serves up traditional French fare in an upscale environment. Their specialty dish, Lobster Ravioli, is hailed to be the best on the island! Just opened in 2015, Le Lezard Juane is a surprisingly hip restaurant serving shish-kabob style dishes. The portions are huge, desserts are amazing (try the flambéed bananas), and hosts Phillipe and Dominique superb. 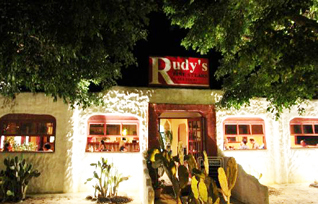 This fantastic steakhouse is known for its crab stuffed parrot fish as well as its friendly owner, Rudy, whom you’ll typically find tending the bar. Great pizza at a price that’s a welcome reprieve from resort dining. Get your pizza as takeout, have it delivered, or enjoy it at their outdoor counter or picnic tables. This traditional steakhouse offers the finest quality New Zealand beef but also serves up some amazing views. Be sure to arrive before sunset to enjoy a cocktail on the outdoor terrace.